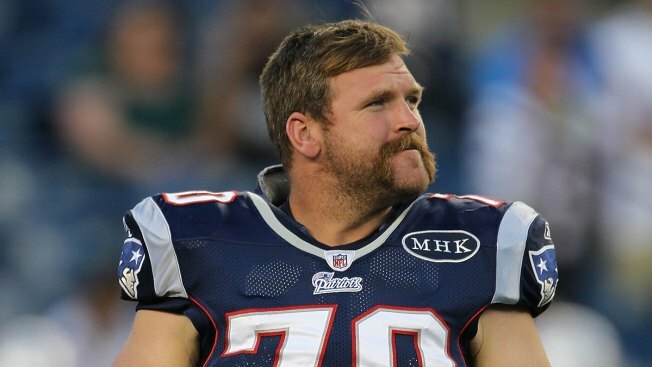 Offensive guard Logan Mankins arrived in New England in 2005 and has been a starter ever since. Up until Tuesday, anyway, when the Patriots shipped him to Tampa Bay for a 2015 fourth-round pick and tight end Tim Wright. If it seems like an inglorious end to a very good career in New England just know this: Coach Bill Belichick is much more likely to get rid of a good player a year too early instead of a year too late. We've seen it before with Ty Law, Randy Moss, Wes Welker and now Mankins. That doesn't mean Belichick wasn't appreciative of what Mankins accomplished in his nine seasons, just that football is a bottom-line business. And the bottom line is that the coach felt the team was better off shipping Mankins out of town. Mankins, 32, struggled in pass protection last season but he's been one of the NFL's best blockers for virtually his entire career. So who replaces him in New England's lineup? Options include Josh Kline, Jordan Devey, Dan Connolly, Marcus Cannon and Ryan Wendell, though none compare to Mankins, both in skill and salary (he'll make $6.25 million, which played a role in the team's decision to trade him). If there's any question about what Mankins meant to his teammates, special teams captain Matthew Slater spoke glowingly of the offensive lineman. "Man, what an awesome guy. What an awesome player. So honored to play with that guy. So honored to get to know him and his family," he said, via ESPN.com. "I can't say enough good things about him. Him and his family, he has great morals, great ethics, a great work ethic. He's a tremendous guy and is going to be great wherever he goes. So for the Patriots, we move on, as sad as that is. It's exciting, too, we move on to the thrills of the season." Meanwhile, Mankins immediately upgrades a Tampa Bay offensive line that has struggled for much of the preseason. "We feel very fortunate," Bucs general manager Jason Licht said on Tuesday. "Logan is a very good player. [I'm] a firsthand witness of what he means to the locker room as well. I was with him for three years. "Our director of player personnel, Jon Robinson, has been with him his entire career. His play on the field speaks for itself. He's a great person. He's going to be great for that room. He's going to be great for that locker room."